Progress breeds progress, and this is especially true when it comes to physical fitness. But what happens when you no longer see results, despite all your efforts in the gym? Maybe you’ve seen an incredible transformation from when you started, and you became ripped in ways you could never have imagined before. But now, you’ve hit a wall. No matter how hard or how often you work out, your gains are comparably smaller than they once were. You, my friend, have hit a weightlifting plateau. But that doesn’t mean all hope is lost. Here are some of our top tips for breaking through a weightlifting plateau so you can keep getting bigger and stronger. First, let’s cover the basics of how muscle gain works. When you lift, your muscles get stressed and tear. As a result, the muscles release cytokines to initiate muscle repair. 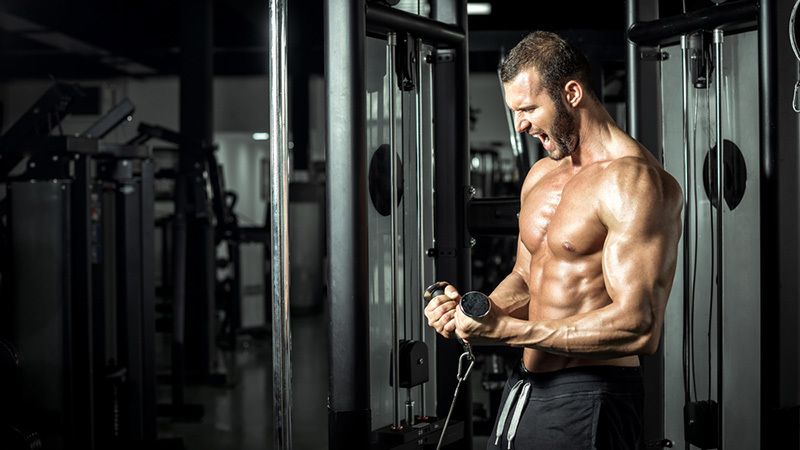 This recuperating process adds mass to your muscles, making them bigger and leaner. That’s why rest days are so important for muscle regeneration. Having said that, there are three important elements of weight training, which are inversely proportionate with one another: duration, frequency, and intensity. 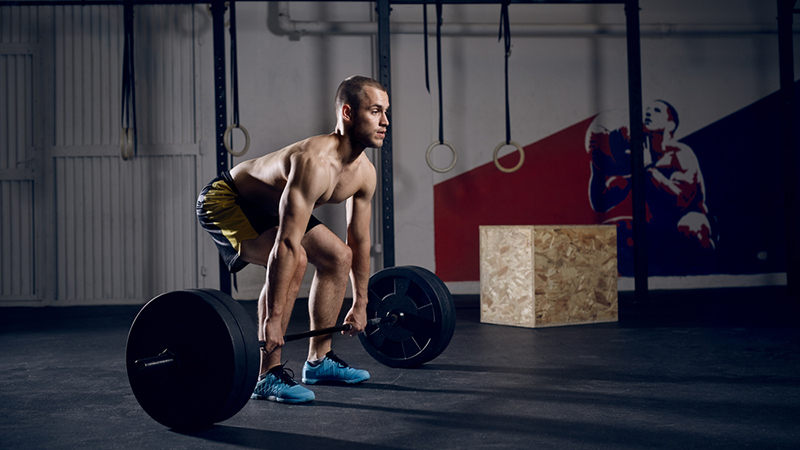 Also Read: Bodyweight Training vs. Weightlifting: Which Is Better? The duration can be represented by the number of exercises, intensity by the weight you are lifting, and the frequency is the the number of days per week you are exercising certain muscle groups. If one of the elements is decreased, the others can compensate. This is an important factor to keep in mind, because during weight-training plateaus, these are the things you can modify so that you can get back on track in no time. 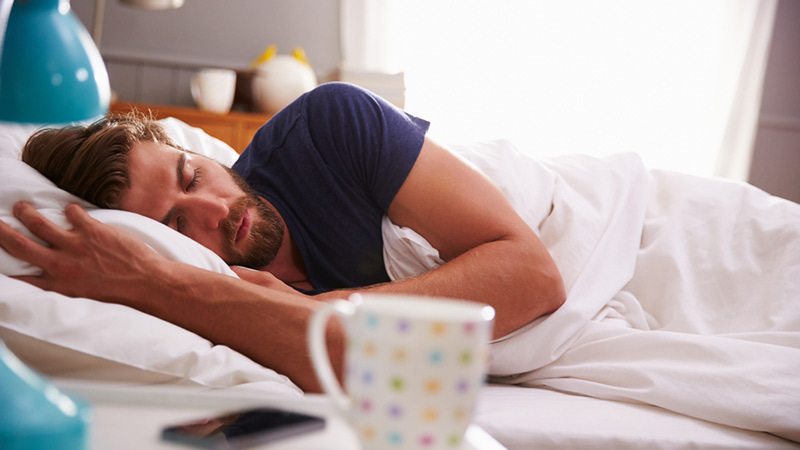 People often underestimate how important it is to get enough sleep when you’re weightlifting. Your muscles regenerate as you sleep, so make sure you get at least seven hours, every single night. Another important part of getting enough rest is actual “rest days,” a.k.a, days off from lifting. You may not be seeing any improvements because you’re overworking your muscles. Rest provides time for your muscles to recover, so if you’re lifting every single day and not seeing progress, begin by adding rest days. It may sound counter-intuitive, but trust us: When it comes to lifting, it’s about quality, not quantity. When you start to drag yourself to the gym or when you don’t have the same urge to perform the drills when you get there, you might have to start making things interesting again. Try updating your typical lifting playlist or changing up your environment by working at a different gym. It may be as simple as adding a few gentle cross-training workouts during your “off” days, like swimming or yoga, to get you back into the swing of things. This one may seem rather obvious, but you’d be surprised at how many people lift the same weight every time and then complain about not making gains. You must lift heavier if you want to get bigger muscles. Lower your number of reps and increase your weight – a good rule of thumb is no more than six reps until failure – to really challenge your muscles until failure. Just be sure not to compromise on form. If you normally lift to work a very specific muscle, spice it up by doing an exercise that involves two or more muscles instead. Compound exercises can elevate your isolated movements to the next level, by targeting various parts of the muscle that were neglected with your very targeted moves. Compound movements, with their emphasis on pushing, pulling, squatting, pressing and lifting, more closely resemble how our muscles function in real life. As such, they more effectively help us to produce practical, useful strength. While isolation movements certainly have their place in any good training regime, compound movements will give you the best bang for your buck. If you’re not seeing results from your usual exercise machine routine, it’s time to try something new. Thankfully, the possibilities are virtually endless. 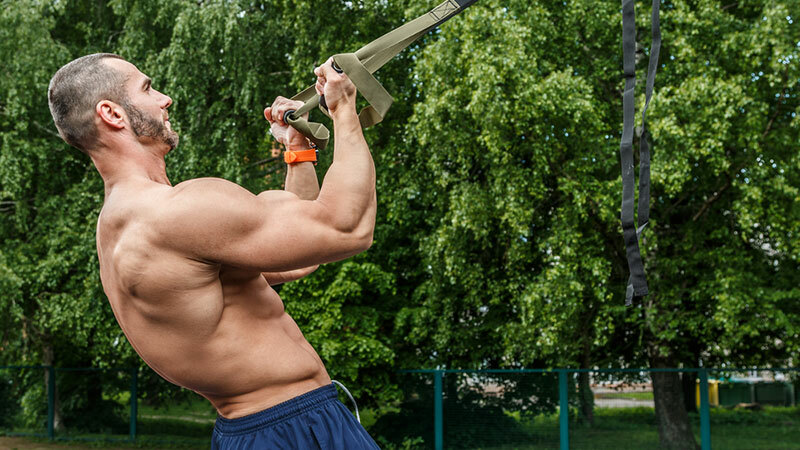 Choose from numbers of explosive movmenets, snatches or clean exercises. Try kettlebells, TRX and even sandbags to really up the ante on your workouts, shock your system, and pack on the muscle. You’d be surprised at the difference a workout buddy/spotter can make! Having a friend join you on your workouts means you can push one another to reach your goals. 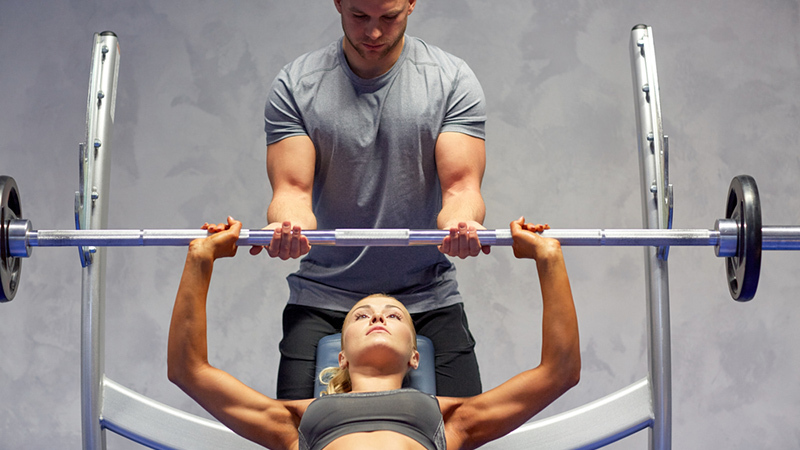 Try out different exercises or machines together, and encourage each other to finish one more rep. You’ll lift heavier, practice better form (you always have someone there correcting you, so you can’t slack off!) and have someone to high-five at the end for a job well done. A great body, as the cliché goes, is 90% made in the kitchen. 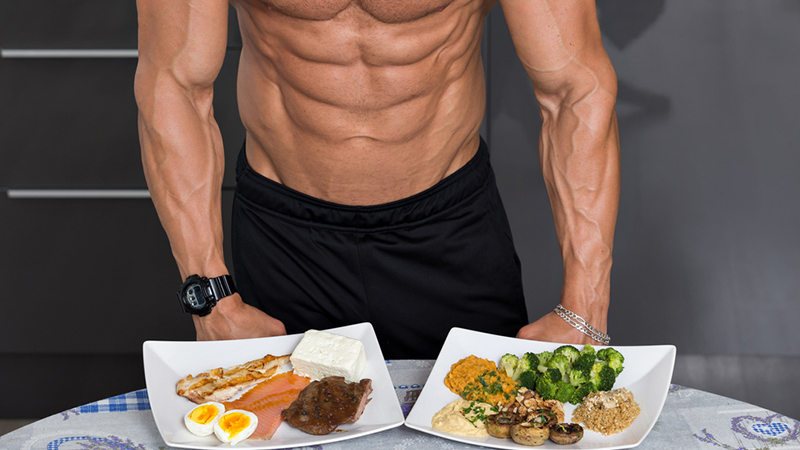 Evaluate the division of your macronutrients, as they could be the source of your fitness plateau. As you gain muscle, your caloric needs should be adjusted. Your average sedentary male requires just 0.36 grams of protein per pound of bodyweight per day, but you’re no average male (or female) are you? Exercise can double those requirements, while weightlifting may even triple them. Generally speaking, athletes who participate in programs specifically designed to add muscle bulk require at least 0.7 to 0.8 grams per pound of bodyweight per day, if not more, and this number will be drastically different for different people. Check out our handy guide to protein to learn how much protein you need to fuel your workouts. Ever wonder why some gym-goers do a dumbbell press on a regular bench, and others choose an inclined platform? Have you noticed the difference between wide-grip pull-ups and regular grip, or sumo squats versus regular squats? It’s all about the angles and grips to target different parts of the musscle. These two are usually underestimated as an important part of bodybuilding. By slightly tweaking the way you handle your equipment, or the way you perform a particular set, you may shift the focus to different muscles that get activated. Try switching your grip for various weightlifting exercises, while ensuring proper form. You may want to consult a personal trainer for this one (you don’t want to risk injury). 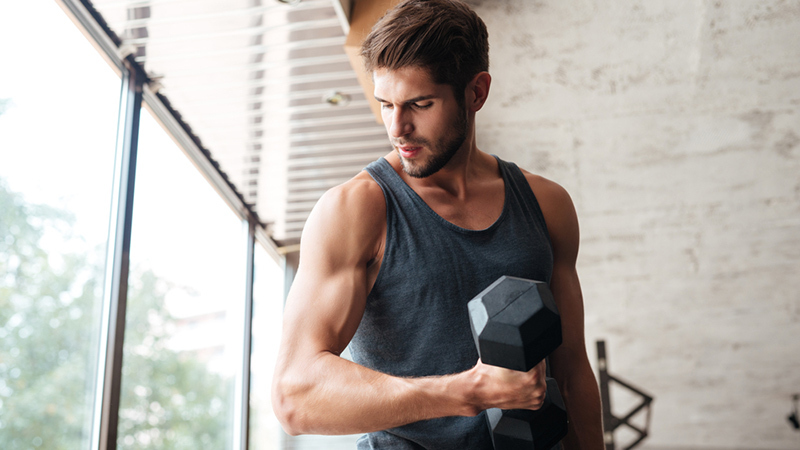 Lastly, swinging your dumbbells up and down in the exact same motion, every time, is not just an ineffective way to build muscle – it’s also boring. Combine isometric holds with pulses and slowwww lifts, and you’ll start to notice a signficant shift in the difficulty. Make sure your muscles are tensed between 30 and 60 seconds to guarantee gains, and also consider adjusting your break time. If your ordinary pauses take up 3 to 5 minutes, go 1-and-a-half minutes to see if that makes a difference. Everyone will experience a fitness plateau at some point in their training regiment. program. This is all part of the process. Take steps to bust out of your plateau so you can keep on progressing.